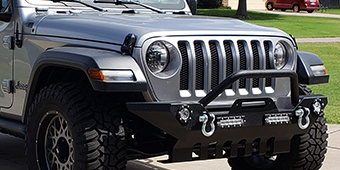 Many individuals do not know what a track bar is, but it is an important piece for your Jeep Wrangler JL. 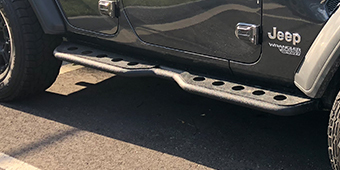 The track bar keeps your Wrangler JL’s wheel centered underneath your Jeep Wrangler. Without it, you will find that you do not have the support you need or control of your vehicle. The track bar is also in charge of reducing any lateral movement that you may experience from side to side as you go off road. If your track bar is the factory model or yours is simply just worn down, Extreme Terrain carries a wide selection of quality and durable track bars for you to choose from. You can choose from top mount options, rear, and front options too. Don’t miss your chance to switch out your track bar at an affordable price.